Fifi stinks. I realise that might sound a bit mean, but there’s just no other way to put it. Since she’s been on the island she’s developed this sort of earthy grungy smell. It’s a smell I know well but I don’t want to say it’s a typical Waiheke smell because I’m sure it exists in many other places. And I’m not complaining about Fifi. She’s a good old girl and I’m rather fond of her. I didn’t name her by the way, a mechanic did. Yes, she’s a Fiat. The problem is compost. Big bags of it. I’m turning my manicured and clipped ‘low-maintenance’ city-looking garden planted with succulents and space-wasters into a food basket. The privet’s gone. Maybe I will have started a trend to de-privitize the island. Ha! Anyway, after 6 weeks I no longer have to buy spinach, lettuces and herbs. That’s a start. But I do have to buy compost. The garden is full of rocks and stones – it’s not called Rocky Bay for nothing – so bit by bit I’m digging them out and replacing them with compost so I can grow things to eat. The bags of compost weigh a ton. A fit young man loads the bags into the back of Fifi at the garden centre, and short of taking him home to help unload the compost, I’m stuck with it in the back of the car. The first time this happened I thought, should I ask my neighbour to help lift it out, or should I wait for someone to come around? I didn’t see the neighbour for days, and no one came to the house (too sad!). But the bag was sealed and unmentionable smells were largely contained so I just got on with things. The bag of compost went shopping with me and Fifi, back to the garden centre at least once, to the post office and to the supermarket, it had a jaunt out to Cable Bay and it came to the ferry to pick people up. 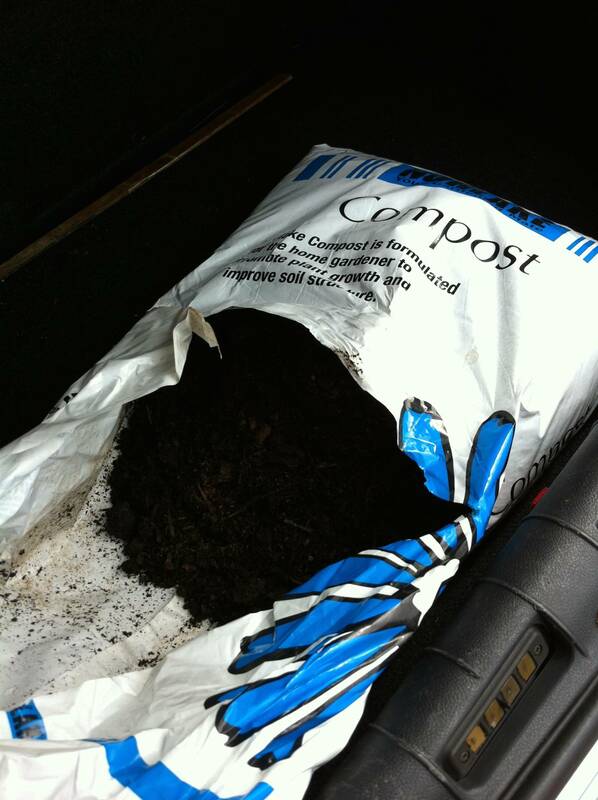 Then I had a bright idea: why not unload enough of the compost into big plastic tubs and once I’d unloaded enough I would be able to move the bag and I’d get it out of the car. I split the bag of compost in the middle with scissors and out burst the stench of rotted god-knows-what. I was prepared for it, but I was still taken aback. It was awful. I unloaded what I needed and worked in the garden until nightfall. Things were going great. The next day was hot. Very hot. I opened Fifi in the afternoon to go shopping and nearly dropped dead. The smell was overpowering. What the hell was it? Oh, the open bag of compost in the back. 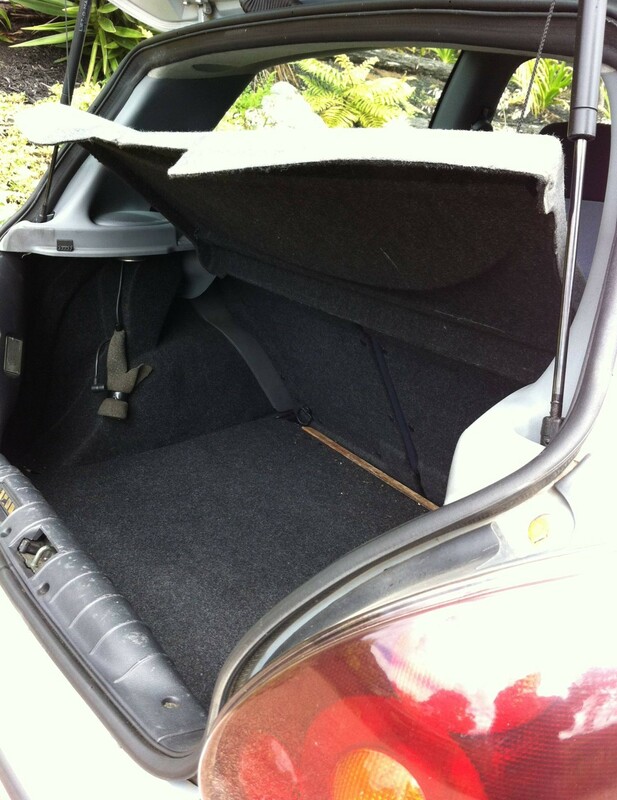 Fifi doesn’t have a closed-off boot. Several bags of compost later, and with the days getting warmer, I realise it is not wise to only partly unload a bag of compost. The whole bag needs to be dealt with in one go. I was talking to my friend Tessa about how heavy the bags of compost were and she said, ‘Oh what I do …’ and proceeded to tell me about what I had done. Apparently that is how anyone within cooee of my age deals with heavy bags of compost. And that’s why, when you hop in a car on Waiheke, you might just get a grungy whiff of earth and compost. Most cars here have carried compost or unmentionables sometime in their service and have at least a little grunge. It’s rural. Sort of horsey-poo meets damp forest floor, like a rank pinot noir – one you’d likely pay 100 bucks for. Here you can sniff it for free. Whatever – as unlike those artificial car deodorisers as you can get, anyway. Visiting townies can always wind the windows down. I used to. Hot, cool, sweet, sour and crunchy – just the ticket for a balmy summer's evening.